SKU: PIN-PEGA. Categories: Brooches & Clasps, Animal Pins. The Pegasus truly needs little introduction for who does not remember the famed great winged horse of the gods? 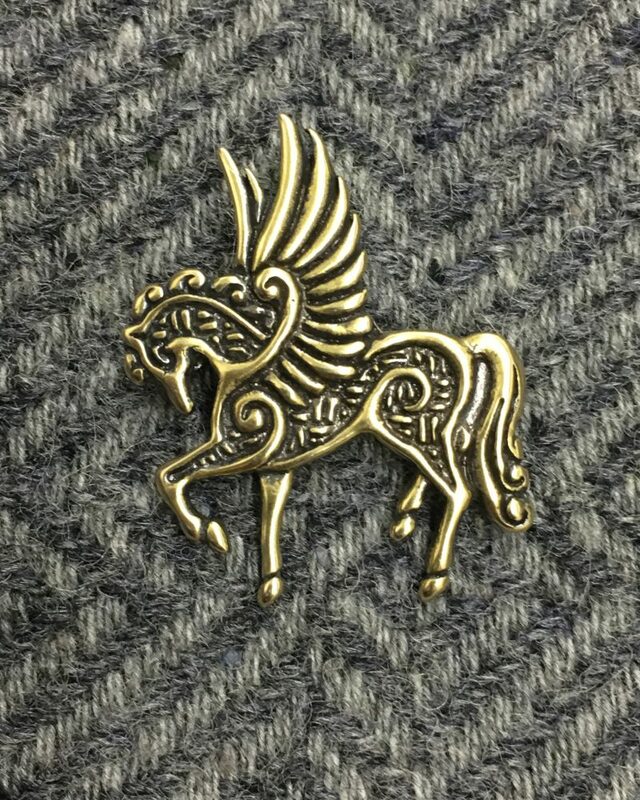 Soar to great heights with our Pegasus Pin! 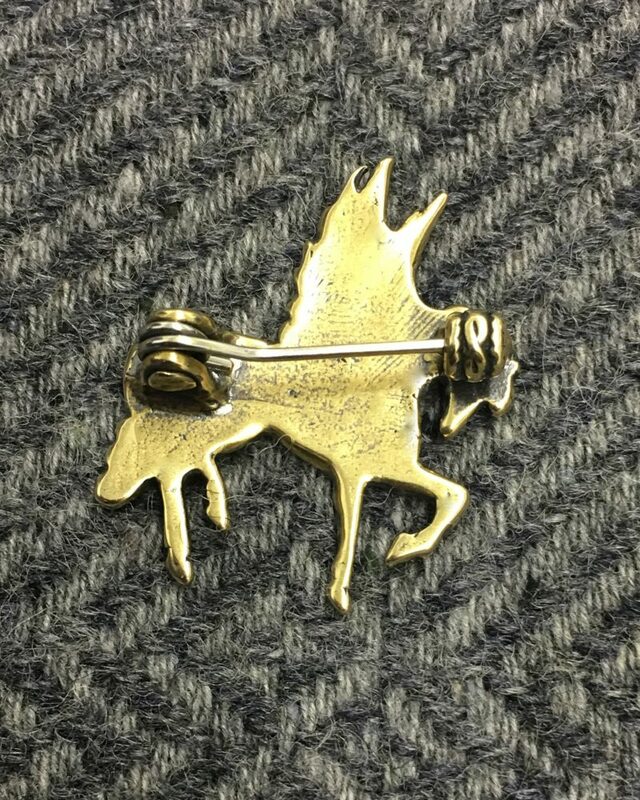 Our pin is 2.25” by 1.5” (56 x 38 mm)and comes in both bronze and sterling silver. It features a modern pinback suitable for pinning to most any clothing. Pegasus, as any small child with an imagination knows, is a great white winged stallion. However, Pegasus was not just any winged horse, he was the progeny of the Greek god of the sea, Poseidon, in his dual role as horse god, and the Gorgon Medusa. When Perseus cut the head from Medusa, Pegasus and his brother Chrysaaor sprang fully formed from the severed neck. It is said that where ever Pegasus struck the ground with his hoof, a spring would form, hence the origin of the fountains of Hippocrene and Aganippe.